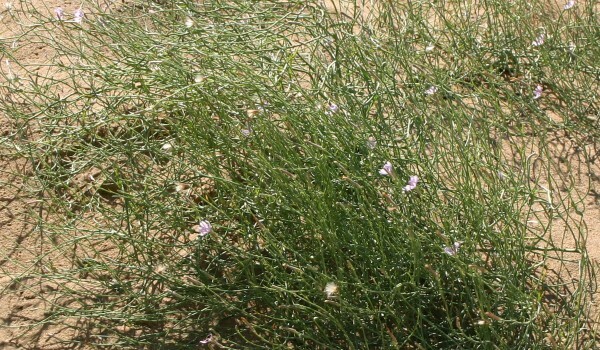 The tiny leaves and straggled appearance of this plant gave rise to its common name. 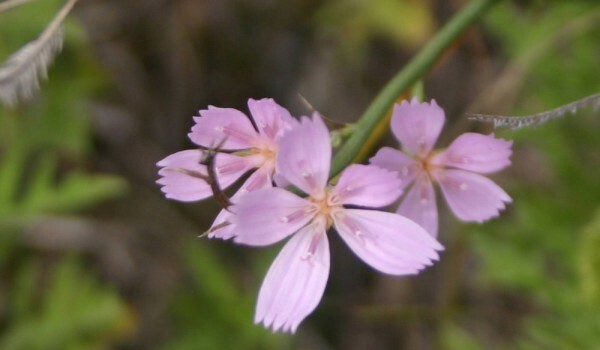 Its flowering heads have blue to pink ray florets, but no disc florets. Plants are unpalatable to most grazers, because stems release a milky, latex-like juice when broken. 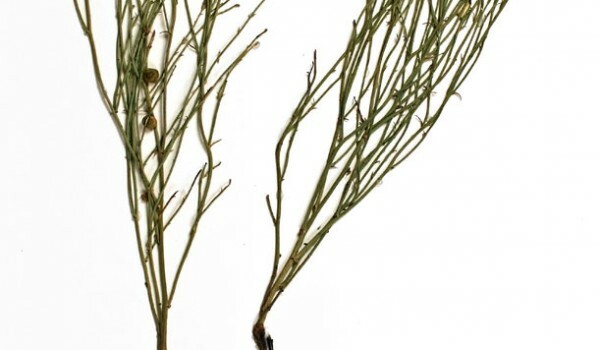 They have been used by Indigenous people for medicinal purposes, and to make chewing gum. Sometimes, small Gall Wasps (Family Cynipidae) form galls on the stems. The likely provide nectar to rare sand dune moths. Not rare. Listed as “sensitive” in British Columbia. The erect, branching stems are grooved and grow 10-70 cm tall. Leaves are alternate and linear, with the upper ones much smaller and scale-like. Solitary flowering heads, 2-3 cm across, occur at the ends of branches. Each one has 3-6 strap-shaped ray florets tipped with 5 teeth, and is backed by two whorls of bracts. Fruits are spindle-shaped achenes with a small tuft of white bristles. Seeds and/or plants may be available from greenhouses and seed supply companies specializing in native plants. It can be propagated by seed.